Passive House is a design protocol developed in Germany in the 1980s and brought to the US in 2002. Focused primarily on energy efficiency, it has become the “GoTo” standard for minimizing energy use in buildings. Through rigorous training and very detailed computer modeling, buildings are built using extremely low amounts of energy for space conditioning. Superinsulation — Keeping heat in or out, depending on the season, is the first tenet of Passive House design. Extremely high levels of insulation wrap the entire structure, even under the foundation, and thermal bridging is virtually eliminated. High R-Value windows and doors are also included, as they are literally holes in the otherwise well-insulated building envelope. Air Tight Construction — Air infiltration can be a tremendous source of heat loss/gain, and even a well-insulated house will not perform well if there are gaps in the insulation barrier. Therefore, air sealing is thoroughly done at every potential source of leakage. 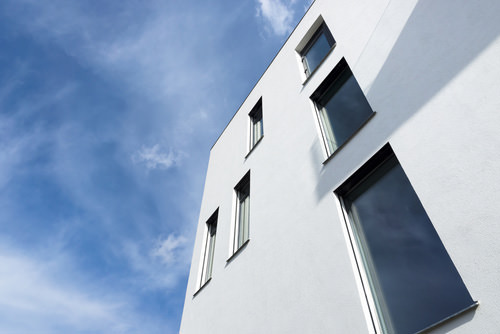 Heat Recovery Ventilation — When a building has an airtight envelope, fresh air must be brought in mechanically. Heat exchangers capture the heat from the air being exhausted to pre-heat the incoming fresh air. These units are up to 90% efficient and are an essential component in the system. High Efficiency Heating & Cooling Equipment — Once the first three strategies have been applied, the only remaining issue is how to provide whatever small amount of heating and cooling is required to meet the now minimized loads. These loads can usually be met using very small equipment. In Colorado’s dry climate, cooling should never be required, and heating can often be achieved using electric radiant heaters in the ventilation ductwork, or using a domestic water heater for hydronic radiant heating panels.